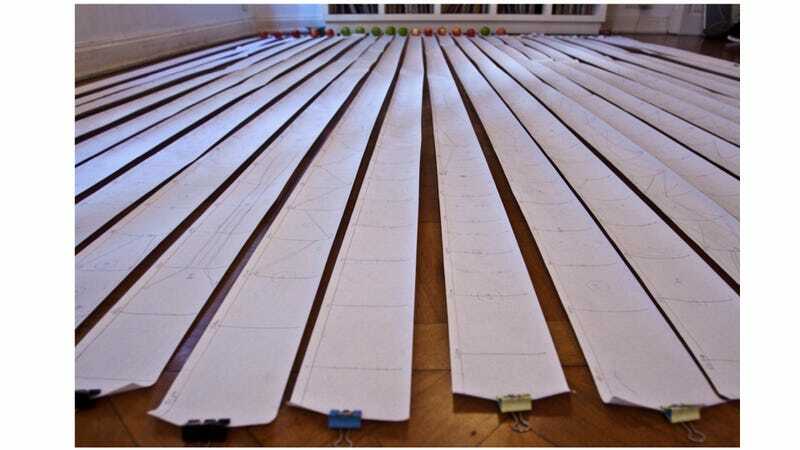 It required 100 meters (328 feet) of calculator paper to map out the sidescrolling video game Beeing. You can see it here, stretched out before you, courtesy of Gonzalo Oxenford, one of the game designers who sketched the layout for their bee-themed sidescroller by hand. Each level map can be rolled up. So you can see the entire game like this. But it's more impressive when it's unfurled. Even this cat is impressed. And the result is a game that looks like this. But, thanks to Oxenford, you can see the paper version of the entire game scroll past your eyes. Beeing is now free for iPhone and iPad, but only for a limited time.